Six weeks ago, the Szymanowski Quartet saw its founding first violinist, Grzegorz Kotow, leave to pursue other interests. The Szymanowski Quartet is pleased to announce its new member Robert Kowalski and is excited by the musical expertise and personal qualities he will bring to the quartet. Agata Szymczewska and Robert Kowalski have known each other for twenty years. They met, as members of different ensembles, at masterclasses when they were still children. He studied in Germany and Switzerland with Waleri Gradow, who followed his artistic development throughout the years. His education was influenced also by Kolja Blacher and Ana Chumachenco as well as the masters of the earlier generation: Bernard Greenhouse, Ivry Gitlis and Ida Haendel. He has many years of chamber music experience at festivals and concert series around the world. 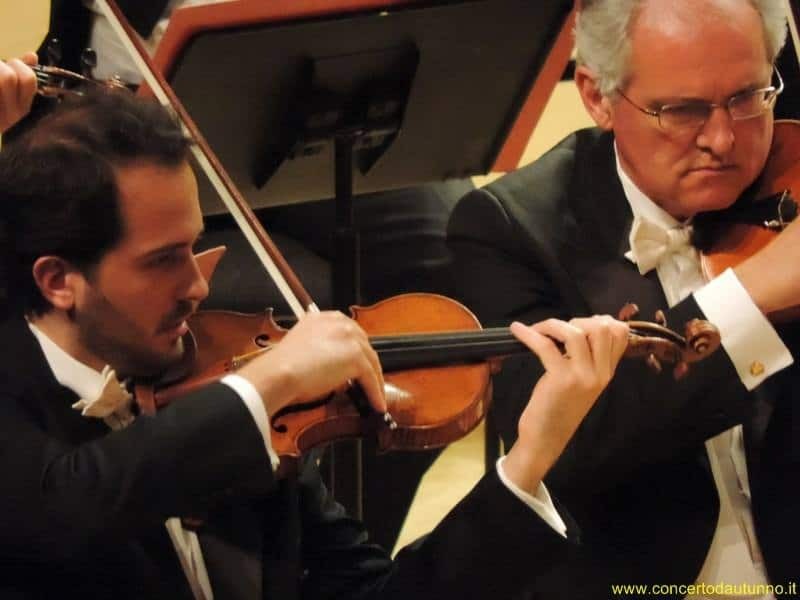 Robert is the first concertmaster of the Orchestra della Svizzera Italiana in Lugano (Switzerland).